It seems the political left has no shame, no self respect, no character, and no consistent principles. You want proof? Easy. Recently Tim Geithner was approved by the U.S. Senate to be the Secretary of the Treasury. Senator Collins had the courage to vote against him saying, “I can’t vote for a tax cheat.” Hurray for her. Tim had refused to pay his taxes until he was tapped by President Obama to become the enforcer of U.S. tax laws! He did not spend any time in prison. The loonies have taken over the asylum. I suggest if an American citizen forgets, overlooks, neglects, refuses, etc., to pay his taxes and ends up in court, he might try to plead the “Geithner Exception.” After all, if it works for a Patrician, it should work for a peon. However, if you try this, it might be wise to plan on a year away from home living at government expense in government housing. Then there is the “Rangel Exception.” Powerful Democrat, Congressman Charles Rangel of New York, heads up the House Ways and Means Committee whose job is to write legislation dealing with the IRS and he refused to pay taxes for years. The Honorable Congressman admitted that he failed to pay taxes on real estate income and finally paid more than $10,000 without paying any penalties. See if you can get away with that. Remember, he sets IRS policies that govern your life. He did not spend any time in prison nor did he get a slap on the wrist. Now we discover that former senator Tom Daschle withdrew his name to be head of Health and Human Services because he cheated on his taxes! He refused to pay about $125,000 until after his appointment but he will spend no time in prison! He and other senator/friends admit he made a “mistake” and was in “error.” You try the “Daschle exception” at your next audit and see how it flies! Tom made a cogent statement in the Congressional Record May 7, 1998 when he said, “Make no mistake, tax cheaters cheat us all, and the IRS should enforce our laws to the letter.” That’s one time I agreed with Daschle. He won’t be in the President’s cabinet but he should be in the calaboose. My friend, Dr. Kent Hovind, a very effective debater in the creation/evolution issue has a ministry in Pensacola, FL and failed to collect FICA taxes on his employees who worked for his 508 (c) (1) (a) ministry, leaving it up to his workers to make the payments. He asked the IRS three times if that was permissible because of the legal status of his ministry. He never received an answer from our valued public servants! If tax protesters (and Kent has declared he is not one) can demonstrate the absence of criminal intent by asserting that they “sincerely believe” that they are not required to pay taxes, there is no criminal law broken; however, they cannot escape the taxes owed. Well, Kent asked three times for a ruling as to his tax obligation and got no answer until the federal boys in jackboots broke into his home early one morning and arrested him and his wife. Moreover, he can prove he “sincerely believed” he was doing what was right because lawyers and CPAs told him he was legal. Moreover, thousands of other ministries were doing as he was. Yet, Kent sits in prison (with a ten-year sentence!) and jerks sit in Congress, the Cabinet, and other High Places. Kent’s wife made trips to their bank to get cash to pay their ministry employees and just went to prison for a year! Note that it was their hard-earned money, from their own bank account but she was charged with trying to circumvent banking laws! If a person deposits or withdrawals $10,000 the bank must inform federal authorities, but Mrs. Hovind did not need that much money so the feds read her mind and determined that she took out less than the threshold amount to not have to inform nosy federal officials what she was going to do with their own money. She is now sitting in a federal prison. If such injustice does not make you spitting angry, you have a major problem. Washington D.C. mayor, Marion Barry pleaded guilty in 2005 to two misdemeanor tax charges and admitted to not filing his taxes from 1999 to 2004. His income was more than $500,000. He is still free and has not indicated that he will pay his legitimate taxes now way past due. Why is he not in prison? Wesley Snipes, 45, a black entertainer, was indicted in October 2006 on two felony charges: fraud for filing a false claim for a $7 million refund (of taxes paid in 1997, before he stopped paying taxes), and conspiracy to defraud the government. Mr. Snipes was also charged with six misdemeanor counts of failing to file tax returns or to pay taxes on at least $58 million he and his film company earned from 1999 to 2004. Mr. Snipes was found not guilty on two felony charges of fraud and conspiracy. He was also acquitted on three misdemeanor charges of failing to file tax returns or to pay taxes, but was convicted on three others. He was sentenced to three years in prison but has spent no time in prison as of today. His case is being appealed and he is free. Kent has been in prison for two years while his appeal was being made! 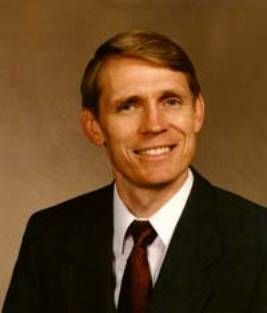 Question: Are Kent and Jo Hovind sitting in federal prisons today because they are Fundamental/ evangelical Christians and Tim Geithner, Charles Rangel, Tom Daschle, Marion Barry, Wesley Snipes are all free because they are privileged, powerful, prosperous? It is my opinion that the Hovinds’ judge, federal attorney, and IRS agent should be in prison, not the Hovinds. And while I am having this seizure of delusion (expecting fair and equal treatment—justice) maybe the above Congressman, mayor, entertainer, and Treasury Secretary could also spend a few months in prison! Kent needs some cellmates and it my opinion that he has more character than all the above jerks combined! Haven’t Federal officials been aloof, arbitrary, and arrogant long enough? Why not chain them down with the laws they are supposed to obey? Or is it now a one-way street where only non-privileged citizens are held accountable? Where is the outrage from all decent, honest, fair-minded people over the injustice of it all? And the Fundamentalist/evangelical wimps who are incapable of showing a little anger are a disgrace to the cause of Christ and should rush to identify with churches that have no convictions.